Tipologia valvola: Valvola ausiliaria dell'aria. MPN 46451794; 7766269; 9945635; 9945776; 9950635;. Reference OE/OEM Number 46451794; 7766269; 9945635; 9945776; 9950635;. Interchange Part Number 46451794; 7766269; 9945635; 9945776; 9950635;. Tipologia valvola: Valvola ausiliaria dell'aria. Interchange Part Number 77 00 102 539;. SKU INT-LAV054. Manufacturer Part Number 55221800; 04892991AA; 04892991A;. EAN 5012225560868. MPN 55221800; 04892991AA; 04892991A;. Reference OE/OEM Number 55221800; 04892991AA; 04892991A;. 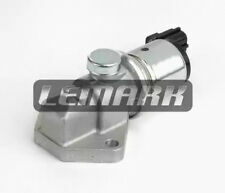 Interchange Part Number 55221800; 04892991AA; 04892991A;. Tipologia valvola: Valvola ausiliaria dell'aria. Reference OE/OEM Number 1086369; XS6U-9F715-AA; AESP106-2A;. Interchange Part Number 1086369; XS6U-9F715-AA; AESP106-2A;. SKU INT-LAV029. Hitachi AESP106-2A. MPN 4798377;. Reference OE/OEM Number 4798377;. Interchange Part Number 4798377;. Tipo di valvola: valvola di commutazione. Reference OE/OEM Number 90573434; 857206;. Interchange Part Number 90573434; 857206;. SKU INT-14801. MPN 12649146; 8 60 512;. Reference OE/OEM Number 12649146; 8 60 512;. Interchange Part Number 12649146; 8 60 512;. MPN 1920.6A;. Reference OE/OEM Number 1920.6A;. Interchange Part Number 1920.6A;. Tipologia valvola: Valvola ausiliaria dell'aria. Reference OE/OEM Number 195321101000; 195321101701; 605132070; 0345 42; 91540797;. Interchange Part Number 195321101000; 195321101701; 605132070; 0345 42; 91540797;. Tipologia valvola: Valvola ausiliaria dell'aria. Reference OE/OEM Number 048 133 455;. Interchange Part Number 048 133 455;. SKU INT-LAV046. Tipologia valvola: Valvola ausiliaria dell'aria. Reference OE/OEM Number JLM1741; ERR5199; ETC6660;. Interchange Part Number JLM1741; ERR5199; ETC6660;. SKU INT-LAV017. Land Rover ETC6660. Tipologia valvola: Valvola ausiliaria dell'aria. Reference OE/OEM Number 16022-P2A-J01;. Interchange Part Number 16022-P2A-J01;. SKU INT-LAV073. Manufacturer Part Number 55 351 891; 93 174 808; 58 51 045;. EAN 5012225547449. MPN 55 351 891; 93 174 808; 58 51 045;. Reference OE/OEM Number 55 351 891; 93 174 808; 58 51 045;. Interchange Part Number 55 351 891; 93 174 808; 58 51 045;. Manufacturer Part Number 30637251;. MPN 30637251;. Reference OE/OEM Number 30637251;. Interchange Part Number 30637251;. SKU INT-LEV068. 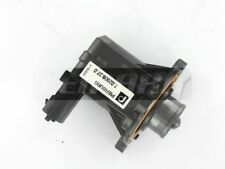 Manufacturer Part Number 14956-EB300; 14956-EB70B; 14956EB300; 14956EB30A; 14956EB70A;. EAN 5012225516353. Nissan 14956EB300. MPN 14956-EB300; 14956-EB70B; 14956EB300; 14956EB30A; 14956EB70A;. Reference OE/OEM Number 14956-EB300; 14956-EB70B; 14956EB300; 14956EB30A; 14956EB70A;. MPN 142432; 60562537; 60813324; 7637024; 35150-22000; 0K01120660;. Reference OE/OEM Number 142432; 60562537; 60813324; 7637024; 35150-22000; 0K01120660;. Interchange Part Number 142432; 60562537; 60813324; 7637024; 35150-22000; 0K01120660;. Manufacturer Part Number 11 65 7 552 946; 11 65 7 566 781; 11 65 7 595 373; 7 552 946;. BMW 11 65 7 599 547. MPN 11 65 7 552 946; 11 65 7 566 781; 11 65 7 595 373; 7 552 946;. Reference OE/OEM Number 11 65 7 552 946; 11 65 7 566 781; 11 65 7 595 373; 7 552 946;. Tipologia valvola: Valvola ausiliaria dell'aria. MPN 6465115; 91SF-9N825-AA;. Reference OE/OEM Number 6465115; 91SF-9N825-AA;. Interchange Part Number 6465115; 91SF-9N825-AA;. SKU INT-14790. Manufacturer Part Number 5851039; 860146; 97218331; 98105656; 30120-PH4-005; 35120-27000;. GENERAL MOTORS 97218331. MPN 5851039; 860146; 97218331; 98105656; 30120-PH4-005; 35120-27000;. Reference OE/OEM Number 5851039; 860146; 97218331; 98105656; 30120-PH4-005; 35120-27000;. Tipologia valvola: Valvola ausiliaria dell'aria. Reference OE/OEM Number 037 906 457C;. Interchange Part Number 037 906 457C;. SKU INT-LAV028. Tipologia valvola: Valvola ausiliaria dell'aria. Reference OE/OEM Number 078 133 455A;. Interchange Part Number 078 133 455A;. SKU INT-LAV049. EAN 5012225463138. Chrysler 4861036. MPN 4861036; 4897246AA; 4897246AB;. Reference OE/OEM Number 4861036; 4897246AA; 4897246AB;. Interchange Part Number 4861036; 4897246AA; 4897246AB;. Manufacturer Part Number 11 74 2 247 906; 11 74 7 796 634; 2 247 906; 7 796 634;. BMW 11 74 2 247 906. MPN 11 74 2 247 906; 11 74 7 796 634; 2 247 906; 7 796 634;. Reference OE/OEM Number 11 74 2 247 906; 11 74 7 796 634; 2 247 906; 7 796 634;. Manufacturer Part Number 43002025F; 46768250; 467682500;. MPN 43002025F; 46768250; 467682500;. Reference OE/OEM Number 43002025F; 46768250; 467682500;. Interchange Part Number 43002025F; 46768250; 467682500;. Tipologia valvola: Valvola ausiliaria dell'aria. Reference OE/OEM Number 037 906 457D;. Interchange Part Number 037 906 457D;. SKU INT-LAV045. MPN FS02-20-660;. Reference OE/OEM Number FS02-20-660;. 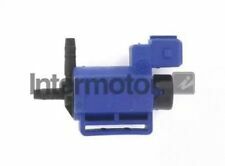 Interchange Part Number FS02-20-660;. Manufacturer Part Number 1618. Reference OE/OEM Number 1618. Interchange Part Number 1618. MPN 13 41 1 435 846;. Reference OE/OEM Number 13 41 1 435 846;. Interchange Part Number 13 41 1 435 846;. Tipologia valvola: Valvola ausiliaria dell'aria. MPN 0345 58; 96 093 838;. Reference OE/OEM Number 0345 58; 96 093 838;. Interchange Part Number 0345 58; 96 093 838;. SKU INT-14831. Hyundai 23781-0F320. MPN 23781-0F320; 23781-0F321; 23781-86G00;. Reference OE/OEM Number 23781-0F320; 23781-0F321; 23781-86G00;. Interchange Part Number 23781-0F320; 23781-0F321; 23781-86G00;. SKU INT-LAV085. 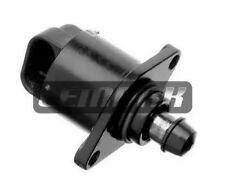 Manufacturer Part Number 1922 S2; 1922 V6;. EAN 5012225565030. MPN 1922 S2; 1922 V6;. Reference OE/OEM Number 1922 S2; 1922 V6;. Interchange Part Number 1922 S2; 1922 V6;. Tipologia valvola: Valvola ausiliaria dell'aria. Reference OE/OEM Number 6944998; 7117213; 938F-9F715-AC;. Interchange Part Number 6944998; 7117213; 938F-9F715-AC;. SKU INT-LAV068. Guado 938F-9F715-AC. Tipologia valvola: Valvola ausiliaria dell'aria. Reference OE/OEM Number 1628247; 6172132; 6188593; 6631853; 6631855; 87TF-9F715-AA;. Interchange Part Number 1628247; 6172132; 6188593; 6631853; 6631855; 87TF-9F715-AA;. MPN 35150-22600;. Reference OE/OEM Number 35150-22600;. Interchange Part Number 35150-22600;. Manufacturer Part Number 11 74 2 246 175; 2 246 175; STC4198;. MPN 11 74 2 246 175; 2 246 175; STC4198;. Reference OE/OEM Number 11 74 2 246 175; 2 246 175; STC4198;. Interchange Part Number 11 74 2 246 175; 2 246 175; STC4198;. Tipologia valvola: Valvola ausiliaria dell'aria. Reference OE/OEM Number 6617092; 928F-9F715-AE; AESP206-3;. Interchange Part Number 6617092; 928F-9F715-AE; AESP206-3;. SKU INT-LAV038. Hitachi AESP206-3. Tipologia valvola: Valvola ausiliaria dell'aria. Reference OE/OEM Number 1920 X9;. Interchange Part Number 1920 X9;. SKU INT-LAV067. Manufacturer Part Number 139325; 0001531159; A0001531159. EAN 5012225568376. Hitachi 139325. MPN 139325; 000 153 11 59; A 000 153 11 59;. Reference OE/OEM Number 139325; 000 153 11 59; A 000 153 11 59;. Tipo di valvola: valvola di commutazione. Reference OE/OEM Number 90530479; 90542387; 857202; 857205;. Interchange Part Number 90530479; 90542387; 857202; 857205;. SKU INT-LEV047. Opel 857205. Tipologia valvola: Valvola ausiliaria dell'aria. SKU INT-LAV051. Tipologia valvola: Valvola ausiliaria dell'aria. Reference OE/OEM Number ERR4352;. Interchange Part Number ERR4352;. SKU INT-LAV050. MPN 46553965; 71718105;. Reference OE/OEM Number 46553965; 71718105;. Interchange Part Number 46553965; 71718105;. SKU INT-LAV075. MPN 13 41 1 744 713;. Reference OE/OEM Number 13 41 1 744 713;. Interchange Part Number 13 41 1 744 713;. Tipologia valvola: Valvola ausiliaria dell'aria. SKU INT-LEV026. VAG 037 906 283B. Manufacturer Part Number 139307; 06H145710C;. EAN 5012225568413. Hitachi 139307. MPN 139307; 06H 145 710C;. Reference OE/OEM Number 139307; 06H 145 710C;. MPN 60811197; 7789627; 0K9A220660A;. Reference OE/OEM Number 60811197; 7789627; 0K9A220660A;. Interchange Part Number 60811197; 7789627; 0K9A220660A;. SKU INT-LAV018. Manufacturer Part Number 139327; 06F 145 710 B; 06F 145 710 C; 06F 145 710 G;. EAN 5012225568291. VAG 06F 145 C 710. MPN 139327; 06F 145 710 B; 06F 145 710 C; 06F 145 710 G;. Reference OE/OEM Number 139327; 06F 145 710 B; 06F 145 710 C; 06F 145 710 G;.